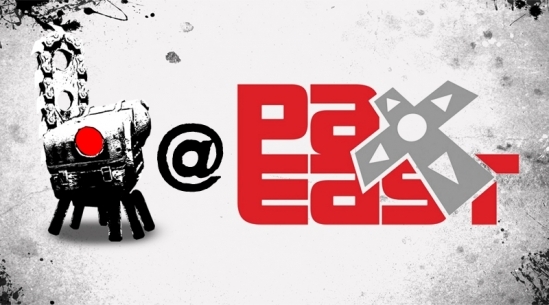 Shoot Many Robots is going to be playable at PAX East this Friday! 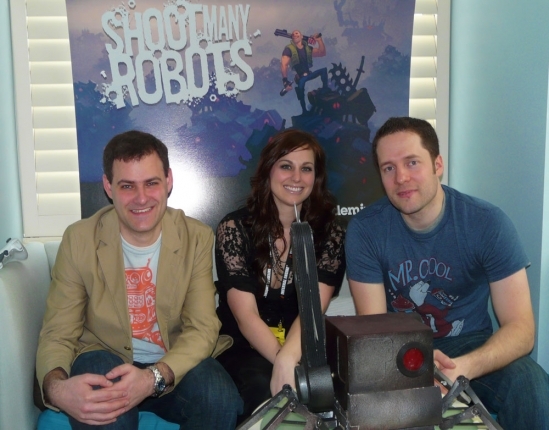 Josh, Al, and Meagan Marie of Game Informer pose with The Chopper during our GDC visit! 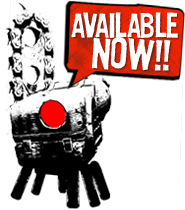 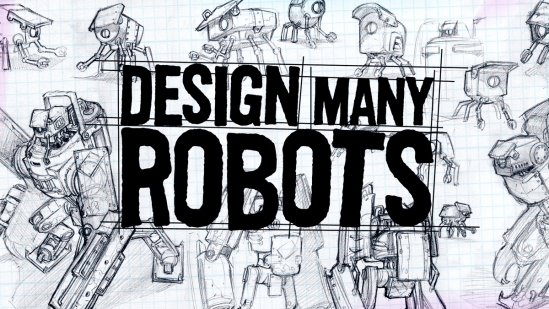 Design a robot for a chance to have it featured in-game in the first expansion pack for Shoot Many Robots! 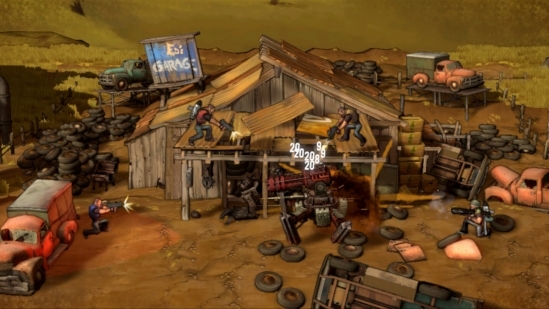 Check out the first batch of screenshots after the jump!